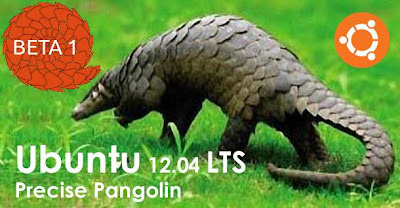 After making available two Alpha release of Ubuntu 12.04 LTS code named "Precise Pangolin" now the developer has officially declared the availability Ubuntu 12.04 Beta 1. According to the project's release schedule, the current development milestone will be followed by a second beta on 29 March, with a possible release candidate arriving in April. The final version is planned for 26 April. With this release the most visible of the changes comes in the form of version 5.4 of Canonical's custom Unity desktop interface, which introduces Ubuntu's new HUD (heads-up display) by default. Unity's 2D desktop now looks like the 3D accelerated desktop. 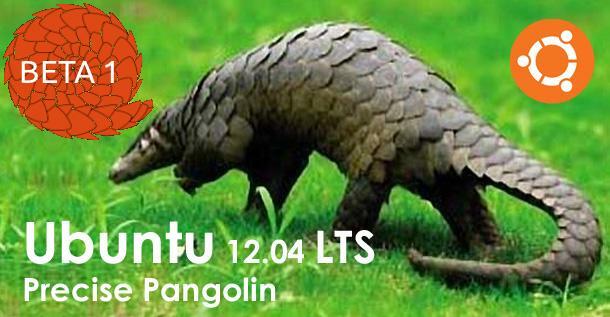 Ubuntu 12.04 LTS Beta 1 is using the 3.2.0-17.27 Ubuntu kernel which is based on the recent 3.2.6 Linux kernel. As with the alpha releases of the kernel, the developers have unified the server and generic flavours of the kernel in a merger designed to reduce the maintenance work needed over the five year life of the LTS release. The developers have also turned on RC6 power management by default in the beta release. The RC6 technology in Intel's Sandy Bridge processors allows the GPU to go into a low power consumption mode when idle, as low as 0 W, and can result in considerable power savings of 40 to 60 percent. The developers have now switched the default music player to Rhythmbox and included support for the Ubuntu One Music Store within it. Other application updates include moving to the latest version of LibreOffice 3.5 and a beta of Firefox 11.0. Hardware support has also been added for ClickPads. Ubuntu 12.04 will be a Long Term Support (LTS) release that will be supported for five years on both the server edition and, for the first time, the desktop edition. The current stable release of Ubuntu is 11.10 "Oneiric Ocelot" from October 2011, while the most recent LTS version is Ubuntu 10.04.4 LTS "Lucid Lynx".